Obviously, a lot of interesting things and items that make the gameplay more exciting and fun. Seed on large dark forests with ponds 1.2.10 will provide an opportunity for craft to visit areas where there is a lot of vegetation, and the lighting here is not particularly excellent. It creates the impression of a gloomy and not quite cozy atmosphere. Players will be able to stroll in a large and dark forest, which is located on the very shore of some strange way. There is also a lot of sand on the shore, which can also be used for personal gain. 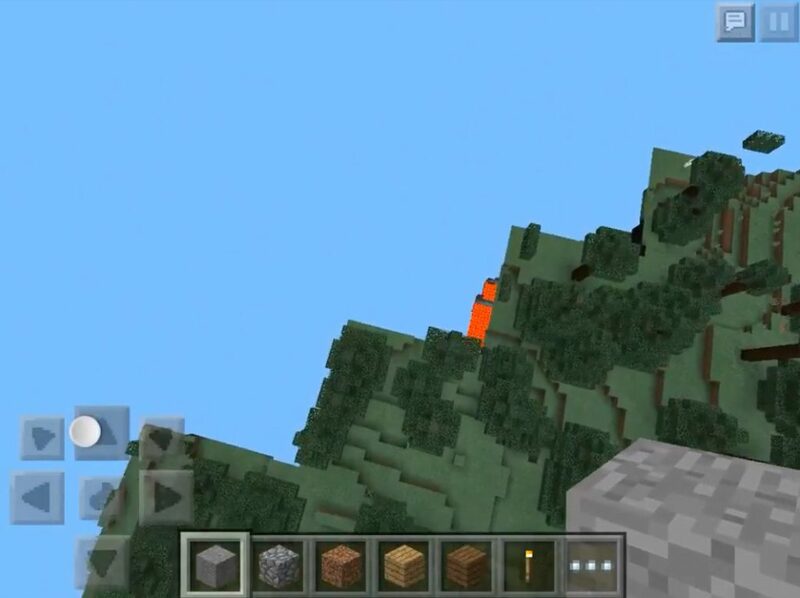 In Minecraft Pocket Edition, you and your friends could see a lot of beautiful places, but this does not mean that you don’t need to explore other places and get acquainted with an area that will bring something new and perhaps no less useful and interesting. 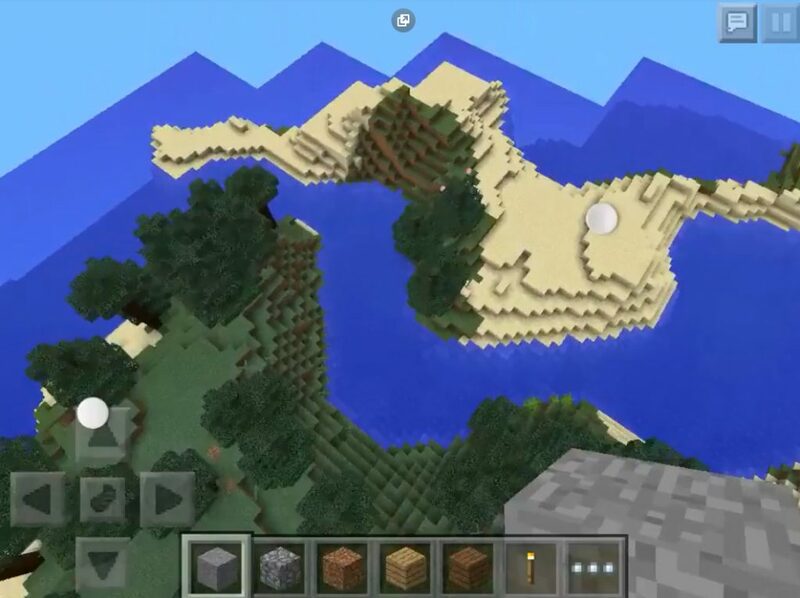 For such locations, it would not be superfluous to pick up new texture packs and make the game more impressive. Studying this new location, you will definitely see a small but very cute and lonely deserted island in a pond. There is a dark forest nearby, and if you build a bridge to it, you can quickly pick up the necessary resources. 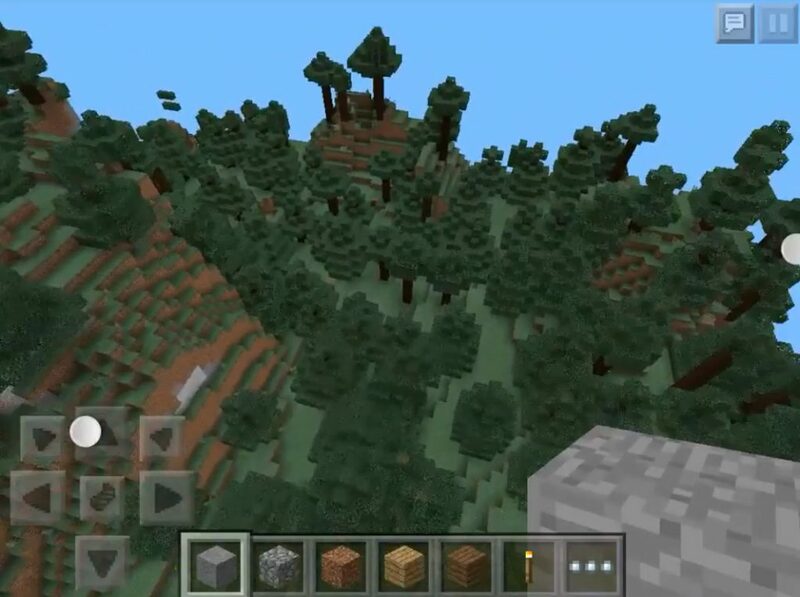 Seed large dark forests with ponds for MCPE 1.2.10 is an incredibly interesting place to explore. In addition, in the two reservoirs presented, which together, you can swim and have a good rest.